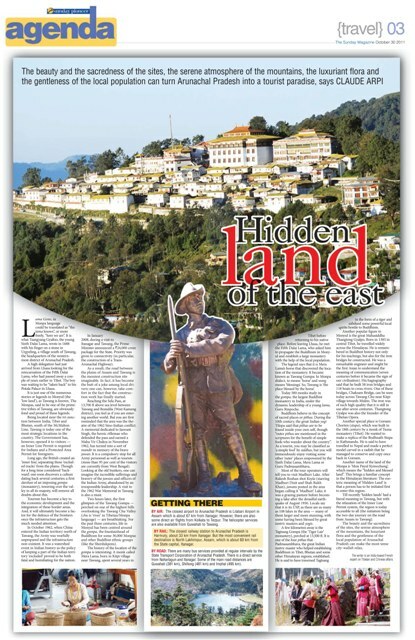 My article on Tawang appeared today in the Sunday Magazine of The Pioneer. Click here to read. My article on 1962 War was published yesterday in the DNA under the title Why 1962 will not be repeated. Click here to read. On October 20, very few in India remembered that 49 years ago, the Chinese People’s Liberation Army massively attacked India. The brunt of the aggression occurred in Tawang district. Since then, the names, Thagla ridge and the Namkha Chu have become synonymous with defeat, humiliation and shame. During the last decades, many things have changed in India. Just after independence, the principles of the administration of the Northeast were laid down by Verrier Erwin, the guru of soft integration of tribal areas: “we should avoid imposing anything on the local people". It had disastrous consequences as far as infrastructure was concerned. In October 1962, when the Chinese entered Indian territory, north of Tawang, Nehru was forced to wake up from his romantic dreams. In January 2008, during a visit to Itanagar and Tawang, the Prime Minister announced a Rs 24,000 crores package for the State. The priority was given to the roads (in particular, the construction of a Trans-Arunachal Highway). With the road being enlarged between the plains of Assam and Tawang, one drives on the messiest imaginable construction site. It is the favorite topic of local jokes: some say that if the Chinese dare to come again, they will break their vehicles and their noses; others curse the Army’s Border Road Organization for having started to work on all the stretches simultaneously. The fact remains that the present state of the road is not propitious for an armed conflict. There are other differences between 1962 and 2011: the then foolish leadership did not dare to use the Air Force, it will not be the case today; especially after a full squadron of Sukhoi-30 aircraft have been deployed at Tezpur air base in Assam (another squadron has been brought to Chabua in Upper Assam). Further, the IAF is planning to open six Advanced Landing Grounds, as well as several helipads in areas close to the border. If India was attacked today, it would not remain a localized conflict like in 1962; any Chinese misadventure would trigger an ‘all-out’ conflict. The Chinese are aware of this. It has been in the public domain that two new infantry divisions (with their headquarters in Zakama in Nagaland and Missamari in Assam) have been raised and that the Government is looking for a place in the Northeast to set up the headquarters in of a Mountain Strike Corps. Walking in the bazaar in Tawang, one has a feeling of a harmonious relation between the Army and the local population. This is a crucial factor which was not here fifty years ago. I was told that some villages fully supported the invading Chinese troops in 1962. This explains how the PLA was able to build a road from Bumla, the border pass, to Tawang in 18 days. One can imagine the amount of accurate intelligence required for this feat. This type of situation does not exist in Tibet where the alien PLA has to deal with a resentful local population. Though it cannot be construed as a sign that nothing untoward could happen, today there is a relative peace and bonhomie on the border. Indian tourists can get a pass from the Deputy Commissioner’s Office for a darshan of Tibet at Bumla border post. I was told that on October 1, 300 Indian and Chinese visitors participated in a mela on the occasion of China’s Republic Day. The general comment was that Chinese noodles are not as good as Indian parathas and sabzis. Lastly but most importantly: the local Monpa population is amongst the most patriotic in India. Though the Chinese propaganda calls this area ‘Southern Tibet’; this will never be accepted by the local population. Once, there was a demonstration of the local population chanting Dudh mangoge to kheer denyenge, Aruncahal mangoge to chir denyenge (you ask for milk, we give you kheer; you ask for Arunachal, we give you arrows). If China wants again to ‘teach a lesson’ to India, it will be a Himalayan task, and in the process, the PLA may get a ‘bloody nose’, as they say in the Army. Being located near the tri-junction between India, Tibet and Bhutan, south of the McMahon Line, Tawang is today one of the most strategic districts in the country. The Government has however opened it to visitors (an Inner Line Permit is required for Indians and a Protected Area Permit for foreigners). Long ago, the British created an ‘inner line’, separating these ‘excluded tracks’ from the plains. Though for a long time considered ‘backward’, one soon discovers a culture dating back several centuries; a first darshan of the imposing Gompa (monastery) towering over the valley in all its majesty, will remove all doubts about this. Tourism is becoming a key to the economic development and the integration of these border areas, and will ultimately a factor for the defence of the frontiers as it gives a tremendous boost to the infrastructure. 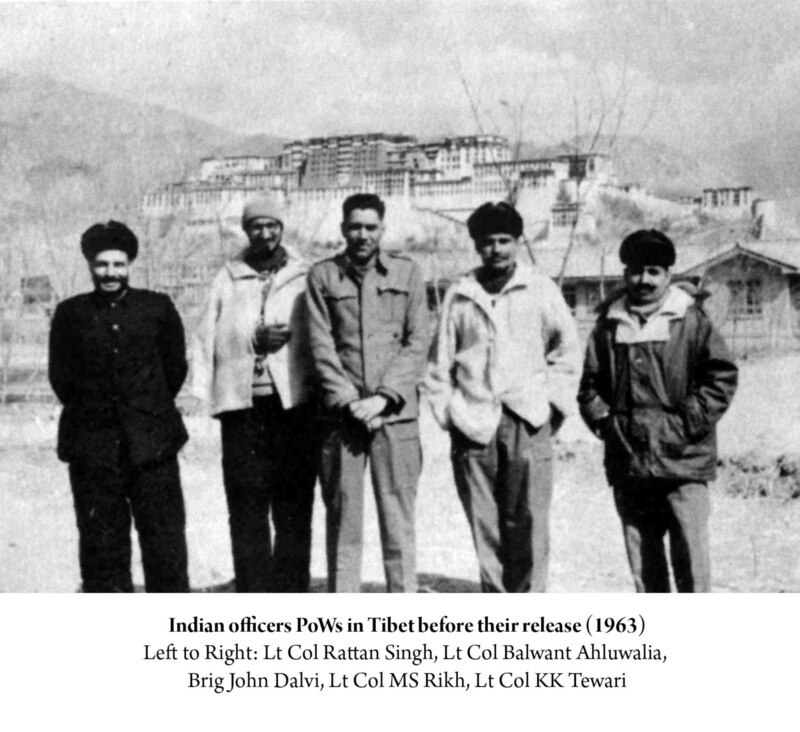 In October 1962, when the Chinese entered the Indian territory north of Tawang, the Indian Army was woefully unprepared and the infrastructure inexistent. It was a watershed in Indian history. To keep a part of the Indian territory ‘excluded’ proved to be fatal and humiliating for the nation. In January 2008, during a visit to Itanagar and Tawang, the Prime Minister announced a Rs 24,000 crores package for the State. Priority was given to connectivity (in particular, the construction of a Trans-Arunachal Highway). As a result, the road between the plains of Assam and Tawang is the messiest construction site imaginable. The road has become the favorite joke of the local drivers, unstoppable on the subject; one can however take comfort in the fact that the work has finally started. Reaching the Sela Pass, at 13,700 feet above sea level between Tawang and Bomdila (West Kameng District), you feel as if entering another world. But you are first reminded that the area was the theater of the 1962 Sino-Indian conflict. A Memorial dedicated to Jaswant Singh, the heroic rifleman who defended the pass and earned a Maha Vir Chakra in November 1962, is a sort of mandir in memory of the brave jawan. It is a compulsory stop for all Army personnel, as well as tourists (more than 95% of the visitors are presently from West Bengal). Looking at the old bunkers, one can imagine the incredible sufferings and bravery of the jawans and officers of the Indian Army, abandoned by an irresponsible leadership (a visit to the 1962 War Memorial in Tawang is also a must). Two hours later, the first glimpses of the Tawang Gompa perched on one of the highest hills overlooking the Tawang Chu Valley (‘chu’ is ‘river’ in Tibetan/Monpa) are breathtaking. The history of the location of the Gompa is most interesting: a monk called Mera Lama, born in Kitpi village near Tawang, spent several years in Tibet before returning to his native place. Before leaving Lhasa, he met the Fifth Dalai Lama who asked him to propagate the Dharma in Monyul and establish a large monastery with the help of the local population. The legend says it is Mera Lama's horse who found the location of the new monastery. It became known as Tawang Gompa: in Monpa dialect ‘ta’ means ‘horse’ and ‘wang’ ‘blessings’ (Tawang is ‘the place blessed by the horse’). Today five hundred monks study in the Gompa, the largest Buddhist monastery in India under the dynamic leadership of a young Lama known as Guru Rinpoche. The Buddhists believe in the concept of sacred places or pithas. During the 10th century, the great Indian yogi Tilopa said that pithas are to be found inside your own self, though “outer pithas are mentioned in the scriptures for the benefit of simple fools who wander about the country”. As a tourist, you may be classified as ‘a simple fool’ by siddhas, but you will tremendously enjoy visiting some other ‘outer’ places empowered by the Sixth Dalai Lama, Mera Lama or Guru Padmasambhava. Most of the tour operators will tell you visit the ‘Madhuri’ Lake. After Rakesh Roshan shot Koyla (starring Madhuri and Shah Rukh), jawans posted in the area began calling it, ‘Madhuri’ Lake; it was a grazing pasture before becoming a lake after the dreadful earthquake of August 1950. Locals say that it is its USP, as there are as many 108 lakes in the area, many of them larger and more stunning, some having been blessed by great tantric masters and yogis. A few kilometers away is the Tagtsang Gompa (the ‘Tiger Lair’ monastery), perched at 13,500 feet. It is one of the four pithas that Guru Padmasambhava, the great Indian tantric master who helped establishing Buddhism in Tibet, Bhutan and the Himalayan belt visited. The Guru is said to have traversed Tagstang in the form of a Tiger and subdued some powerful local spirits hostile to Buddhism. Another popular figure in Monyul is the great Mahasiddha Thangtong Gyalpo. Born in 1385 in Central Tibet, he traveled widely in the Himalayas. He is remembered in Buddhist history, not only for his teachings, but also for the iron bridges he constructed. He was a remarkable engineer and maybe the first Asian to understand the meaning of communication (seven centuries before it became the sign of our civilisation). His hagiography said he built 58 iron bridges and 118 boats to cross rivers. One of these bridges called Chaksam Bridge can be seen today across Tawang Chu near Kitpi village towards Mukto. The iron was of such high quality that it is still in use after 7 centuries. Thangtong Gyalpo is also the founder of the Tibetan Opera. Another special place is the Gorsam Chorten (Stupa) which was built in the 18th century by a monk of Tsona monastery (located in Tibet). He wanted to make a replica of the Bodhnath Stupa in Kathmandu. He is said to have traveled to Nepal and made a perfect model carved in a radish that he managed to conserve and copy once back in Gorsam. Another name of the Land of the Monpa is ‘Mon Payul Kyinochung’ which means the ‘hidden and blessed land’. This brings a familiar concept in the Himalayan literature: the esoteric concept of ‘Hidden Land’, an initiation is required to enter this region. Till recently ‘hidden lands’ had a literal meaning in Tawang, but with the relaxation of the Inner Line Permit system, the region is today accessible to all (the initiation being the two-day journey on the road from Assam to Tawang). The beauty and the sacredness of the sites, the serene atmosphere of the mountains, the luxuriant flora and the gentleness of the local population of Arunachal can make the most tense citywalla relax and take him to another dimension. My article Politics over reincarnation appeared in The Pioneer on October 19. Click here to read. Is the Tibet Declaration of Independence illegal? In Philadelphia, a group of American and British lawyers debated the legality of America's Declaration of Independence. If one follows the American argument, Tibet is also an independent nation. Read the Tibetan Declaration of Independence and the BBC article and decide. The only difference, as the Thirteenth Dalai Lama often said, is that there are big insects and small insects. Nobody argues or reject the arguments of 'big insects'; it is not the case with 'small insects'. Tibet was and remains a small insect, while America is the most powerful one. In the world today, there are different laws for different types of insects. I am speaking to all classes of Tibetan people. Lord Buddha, from the glorious country of India, prophesied that the reincarnations of Avaloki tesvara, through successive rulers from the early religious kings to the present day, would look after the welfare of Tibet. During the time of Genghis Khan and Altan Khan of the Mongols, the Ming dynasty of the Chinese, and the Qing Dynasty of the Manchus, Tibet and China cooperated on the basis of benefactor and priest relationship. A few years ago, the Chinese authorities in Szechuan and Yunnan endeavored to colonize our territory. They brought large numbers of troops into central Tibet on the pretext of policing the trade marts. I, therefore, left Lhasa with my ministers for the Indo-Tibetan border, hoping to clarify to the Manchu emperor by wire that the existing relationship between Tibet and China had been that of patron and priest and had not been based on the subordination of one to the other. There was no other choice for me but to cross the border, because Chinese troops were following with the intention of taking me alive or dead. 4. Tibet is a country with rich natural resources; but it is not scientifically advanced like other lands. We are a small, religious, and independent nation. To keep up with the rest of the world, we must defend our country. In view of past invasions by foreigners, our people may have to face certain difficulties, which they must disregard. To safeguard and maintain the independence of our country, one and all should voluntarily work hard. Our subject citizens residing near the borders should be alert and keep the government informed by special messenger of any suspicious develop ments. Our subjects must not create major clashes between two nations because of minor incidents. 5. Tibet, although thinly populated, is an extensive country. Some local officials and landholders are jealously obstructing other people from de veloping vacant lands, even though they are not doing so themselves. People with such intentions are enemies of the State and our progress. From now on, no one is allowed to obstruct anyone else from cultivating whatever vacant lands are available. Land taxes will not be collected until three years have passed; after that the land cultivator will have to pay taxes to the government and to the landlord every year, proportionate to the rent. The land will belong to the cultivator. It was an unsurprising result, considering the venue - just a few blocks away from where the Declaration was drafted. But did they get it right? Below are some more of the arguments from both sides. The Declaration is unquestionably "legal". Under basic principles of "Natural Law", government can only be by the consent of the people and there comes a point when allegiance is no longer required in face of tyranny. The grievances listed in the Declaration were too trivial to justify secession. The main one - no taxation without representation - was no more than a wish on the part of the colonists, to avoid paying for the expense of protecting them against the French during seven years of arduous war and conflict. In 1950-51, the Communist leadership thought that they 'liberated' Tibet, but nine years later, 'liberated' Tibetans revolted against their 'liberators'. Today, though Beijing pretends to have brought 'economic development' and 'happiness' to the masses, monks and nuns are immolating themselves. The tragedy continues.Beijing has an immense problem to solve here. As for India, as long as the culprits of 1962 are not publicly condemned, the scar will remain. The Himalayan Blunder, the book of Brig John Dalvi, commanding the 7 Infantry Division on the Namkha Chu in 1962 is a small step in this direction. The Henderson-Brooks report and other documents also need to be released, only then we will have a proper picture of the folly of the leadership of the time (political, intelligence and Army mainly). Forty-nine years is a long time and as Dalvi says in his book, quoting Antony Eden, this may "expose many wounds; by doing so it may help to heal them". My earlier article, Why Mao attacked India in 1962 shows a different angle of the drama. THIS BOOK was born in a Prisoner of War Camp in Tibet on a cold bleak night. On the night of 21st November 1962, I was woken up by the Chinese Major in charge of my solitary confinement with shouts of 'good news - good news'. He told me that the Sino-Indian War was over and that the Chinese Government had decided to withdraw from all the areas which they had overrun, in their lightning campaign. When I asked the reason for this decision he gave me this Peking inspired answer: “India and China have been friends for thousands of years and have never fought before. China does not want war. It is the reactionary (sic) Indian Government that was bent on war. So the Chinese counterattacked in self-defence and liberated all our territories in NEFA and Ladakh, in just one month. Now we have decided to go back as we do not want to settle the border problem by force. We have proved that yon are no match for mighty China”. He concluded with this supercilious and patronising remark: “We hope that the Indian Government will now see sense and come to the conference table at once so that 1,200 million Chinese and Indians can get on with their national development plans and halt Western Imperialism”. This kindergarten homily was, and remains, the most humiliating moment of my 7-month captivity and indeed of my life. That night I experienced a wave of bitter shame for my country. In my grief I took a solemn vow that one day I would tell the truth about how we let ourselves reach such a sorry pass. With time heavy on my hands, as I had no radio, newspapers or books, I brooded over India's humiliation and the fate of my commando I was repatriated, along with all the other officers of field rank, on 4th May 1963. We reached Barrackpore, the Military Airport at Calcutta at mid-day but could not land there and were diverted to Dum Dum. We deplaned and were greeted with correct military protocol, tinged with a chill reserve. It was only later that I found out that we had to clear ourselves of the charge of having been brainwashed - a strange charge from a Government which had itself been brainwashed into championing China's cause for more than a decade without a doubt the prisoners had been declared outcasts. Apparently we should have atoned for the past national sins of omission and commission with our lives. Our repatriation was embarrassing as the national spotlight had again been focused on the Sino-Indian Conflict. From the tarmac we were herded straight to the Customs enclosure where a sprightly team of appraisers had assembled to 'examine' our luggage. They had been told that some Indians had arrived from Hong Kong and were waiting to confiscate transistors and opium! I knew then that there had been no material change in India and we were in the same old groove. After a cursory and stereotyped de-briefing at Ranchi, I was ordered- to meet the Chief of Army Staff, Gen. J.N. Chaudhuri at Delhi on 15th May. He asked me to write a report for the personal information of the Defence Minister and himself. The aim was, in Gen. Chaudhuri's words: "To teach ourselves how not to hand over a brigade on a plate to the Chinese in future". He added that we had become the laughing stock of even countries like …and … (I hesitate to name these countries!). I welcomed the opportunity afforded by the Chief's instruction for a personal report as this would give me a chance to collect my thoughts. The basic facts had been branded into my memory. To make doubly sure, I had many sessions with Lt. Col. Rikh, Commanding Officer of 2 Rajputs and Lt. Col. B. S. Ahluwalia, Commanding Officer of the 1/9 Gorkhas, Major R.O. Kharbanda and Captain T. K. Gupta of my Staff. We recounted, cross-checked and authenticated the facts which form the basis for this book. Rankling at our unfriendly reception and the many garbled versions I heard from friends, I wrote a forthright account which 1 handed over to the Chief personally. I do not know the fate of this report as I was never again asked to discuss or explain it. It may have touched some sensitive nerves. It was soon apparent that the Army had become the centre of much controversy and that the blame for the 1962 fiasco had been cunningly shifted to its alleged 'shortcomings'. What was more alarming were the extravagant claims made by some senior Army Officers, who attained eminence only after the 1962 reshuffles, as to how brilliantly they would have handled the situation and defied the authority of Nehru, Menon and Kaul. This attitude made me despair of whether my countrymen and colleagues would ever learn any lessons from India's first attempt at conducting a modern war and strengthened my resolution to tell my story. 1962 was a National Failure of which every Indian is guilty. It was a failure in the Higher Direction of War, a failure of the Opposition, a failure of the General Staff (myself included); it was a failure of Responsible Public Opinion and the Press. For the Government of India, it was a Himalayan Blunder at all levels. The people of India want to know the truth but have been denied it on the dubious grounds of national security. The result has been an unhealthy amalgam of innuendo, mythology, conjecture, outright calumny and sustained efforts to confuse and conceal the truth. Even the truncated 'NEFA' Enquiry has been withheld except for a few paraphrased extracts read out to the Lok Sabha on 2nd September 1963. For some undisclosed reason, I was not asked to give evidence before this body nor (to the best of my knowledge) were my repatriated Commanding Officers. It is thus vitally necessary to trace, without rancor and without malice, the overall causes which resulted in the reverses and which so seriously affected India's honour. Some of the things that happened in 1962 must never be allowed to happen again. There is a school of thought which advocates a moratorium on the NEFA Affair on the grounds that such 'patriotic reticence' is desirable in the context of the continuing Chinese (and Pakistani) military threats. I do not think that this theory is tenable. The main protagonists of this line played a part in the tragic drama, or belonged to the political party which provided the national leadership and their plea for silence does not spring entirely from a sense of patriotism. There are others, mostly barren politicians, who use the Nehru legend to buttress their failures, or inveterate hero-worshippers who express irritation at any adverse reference to Mr. Nehru's long spell as the Prime Minister of India. As was said of Lord Chatham, the British Prime Minister, 'His country men were so conscious of what they owed him that they did not want to hear about his faults'. But it is impossible to narrate a failure, which historically marked the end of the Nehru saga, without critical, often harsh comments on the principle dramatis personae who held high office and who were revered by the people. The magnitude of our defeat could not have been wrought without Himalayan Blunders at all levels. But this is not a "J'accuse". India has a near unbroken record of military failures through the ages. Our peasantry has always fought gallantly; but it is an indisputable fact that seldom has this bravery been utilised to win battle field victories and thus to attain our political objectives, due to inept political or military leadership, or both. Need we follow this tragic path interminably? It had fallen to my lot to be associated with the China problem for over 8 years from 1954 to 1962. I was first connected with the Higher Direction of War, in a modest capacity, as a Lt.-Colonel in Military Operations Directorate. Later, as Brigadier-in-Charge of Administration of the troops on Ladakh, I saw, at first hand, what passed for 'logistic support'. Finally as Commander of the key sector of Towang, North-East Frontier Agency, I was involved in our so-called operation al planning to defend our borders. The years of higher responsibility were complementary and gave me a personal insight into our National Policy as well as our half-hearted military response to the Chinese challenge. I have tried to tell the story as I saw it unfold, over the years, to add to our knowledge. I have included the politico-military background only because this had a direct bearing on our performance in the military field, in 1962. This is a personal narrative - a narrative of what 7 Infantry Brigade was ordered to do and what happened when they attempted to carry out those orders. In all humility I can claim that only I am in a position to explain many nagging questions that need explaining, facts that are necessary. The theme of the book is the steadfastness of the Indian soldier in the midst of political wavering and a military leadership which was influenced more by political than military considerations. The book records their val our, resolution and loyalty - qualities which are generally forgotten in the mass of political post-mortems which have been served up to the Indian people. This is a record of the destruction of a Brigade without a formal declaration of war - another central fact that is often overlooked - and which coloured the actions of all the principal participants. I have made every effort not to view things in a retrospective light or with the clarity of hindsight. I have recorded experiences, ideas and feelings as they appeared at the time. I have tried to give an objective account of all that happened, of the people involved and of the decisions they took. My opinions as a participant in the climatic finale of September-October 1962 must be subjective. The main essential is to know how the principal participants thought and reacted. As Lord Avon (Sir Anthony Eden) says in "the Preface to his Memoirs, The Full Circle: "This book will expose many wounds; by doing so it may help to heal them". By this book I express my undying gratitude to my Commanding Officers for their trust and loyalty; to the men of all classes and from all units under my command for their selfless devotion to duty; and to my staff whose dedication sustained me in those harrowing days. This book is the fulfillment of my promises to my friends, in all walks of life, to vindicate the reputation of the men I had the honour to commando I hope that I shall have discharged my responsibility to all those who gave their lives in the line of duty and whose sacrifice deserves a permanent, printed memorial. 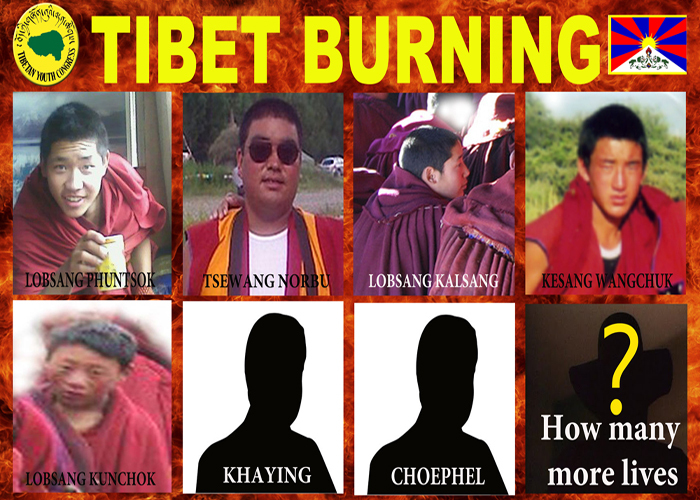 Monks and nuns in Eastern Tibet are immolating themselves. They do this because they are desperate. After the unrest of March/April 2008, a Chinese scholar Zhang Boshu wrote an essay "The Way to Resolve the Tibet Issue". Born in Beijing in 1955, Zhang Boshu received an MA in economics from Zhongguo Renmin Daxue in 1982 and in 1985 passed the entrance examination for the Institute of Philosophy of the graduate school of the Chinese Academy of Social Sciences. He later held a post in the Philosophy Institute of the Chinese Academy of Social Sciences from 1991. The governing authorities operate a 'reverse elimination' selection system among the leaders of the monks. Any monk leader who insists on religious principles, refuses to be a tool of the authorities, will be subject to pressure and purging or even sentenced to prison as a warning to other clergy. Any monk with a relatively high traditional rank who keeps silent, doesn't cause trouble is a candidate for recruitment by the United Front Department. He will be given rewards but a club will be always be ready to intimidate them. Any monk willing to be personal advancement first, who is opportunistic, gives up religious principles, and willing to be a tool of the government will be given all sorts ofadvantages, membership in the National People's Congress, the National People's Consultative Congress or even higher government positions. The green light will be given for their activities, resources will be provided so that they will be a model who can draw in other leaders among the monks." In sum, therefore, although the Chinese Communists boast of religious freedom but their religious policy is aimed at the destruction of Buddhism, no less than it was in the days of Mao Zedong. Mao Zedong wanted to completely extirpate Buddhism. In Tibetan history there were eras when Buddhism was extirpated yet Buddhism still continued because the religion lived in the hearts of believers and so could not be destroyed by an external force. Today the Communist Party religious policy is aims at the degeneration of the monk stratum of Tibetan society. This is a mortal danger to Buddhism. As a consequence of all this, although Tibet has made considerable economic progress over the past thirty years and the lives of ordinary Tibetans have improved, but Tibetans are still dissatisfied and 'events' occur over and over in the Tibetan regions. The Tibetan issue is still 'an issue' that is the focus of constant international attention. Ever since that have occurred since March are just new developments in the course of this ongoing transformation. Can the Chinese authorities look at the situation and understand that repression has never (and will never) solve the Tibetan issue. In Beijing, the Marxists do. The Dalai Lama had to recently issue a statement to explain to the Chinese leadership (and the general public) the meaning of ‘reincarnation’ in Tibetan Buddhism. This should have set aside the CCP pretention of being able to decide about the wanderings of a Lama after his death and the location of his return. It has not. Li Decheng, Director of the China Tibetology Research Center stated: “Generally speaking, there is nothing new in Dalai Lama's statement on reincarnation. He is just using his special identity and influence to deceive and throw the dust in the eyes of the public.” For Mr Li, the Dalai Lama dreams to “destroy the normal state of the Tibetan Buddhism”. It is not worth commenting on. The Dalai Lama used the occasion of a high-level conference of the heads of the four major schools of Tibetan Buddhism (as well as the Bon tradition), held in Dharamsala at the end of September to scholarly clarify the factual position. The Dalai Lama read a statement, later endorsed by the highest Buddhist gurus in exile. Interestingly, he gave himself some 15 more years to 'decide': "When I am about ninety, I will consult the high Lamas of the Tibetan Buddhist traditions, the Tibetan public, and other concerned people who follow Tibetan Buddhism, and re-evaluate whether the institution of the Dalai Lama should continue or not." Though it was the Karmapas who first established a linage by reincarnation some 900 years ago; for 369 past years, the Dalai Lamas have ruled the Land of Snows using this method. The recent introduction of democracy in Dharamsala will not stop the Dalai Lamas to carry on with their religious duties; future incarnations will continue to spiritually guide the people of Tibet. It is here that the Chinese have a problem. Do they really believe in the existence of past and future lives? Did Marx ponder over the issue? For a Buddhist, it is only once he is liberated from the cycle of existence by overcoming his karma that he may not need to reincarnate anymore. His statement gave details on how rebirth takes place, the meaning of Tulku, the recognition of reincarnations (a practice started from the Buddha’s time), the system of recognizing reincarnations in Tibet (which had its own characteristics) and the different ways of recognizing reincarnations. Additional methods are available such as divination by realized spiritual masters, predictions by renowned oracles or visions which appear in sacred lakes (the Lhamoi Latso lake, south of Lhasa, in the case of the present Dalai Lama). It is only when there is a doubt or too many candidates that the final decision is made by divination employing the dough-ball method [the so-called Golden Urn] before the statue of a special deity. This last method is relatively easy to manipulate, particularly for political or other purposes. The Chinese have mastered it. The main objective of a reincarnation is to continue the predecessor’s unfinished work and serve the Dharma, insists the Tibetan leader. It is obviously not to serve a Party or a group of individuals. His request to the Chinese leadership is therefore to stop ‘brazen meddling’ in the system of reincarnation and especially the reincarnations of the Dalai Lamas and Panchen Lamas. The Communist leaders are very much aware of the Dalai Lama’s clout over the masses not only in Tibet, but also in Ladakh, Arunachal Pradesh, Himachal, Mongolia, and even parts of the Russian Federation. On December 8 1995, a Chinese candidate was imposed by the Communist Party and ‘officially’ enthroned as the Panchen Lama in the Tashilhunpo monastery in Shigatse, the second largest Tibetan town. The ceremony had been kept secret by the authorities until the last moment as they feared a backlash from a resentful Tibetan population. The candidate, Gyaltsen Norbu had been chosen after a mock ‘Golden Urn’ ceremony organized earlier in the Jokhang Cathedral in Lhasa by the dignitaries of the Communist Party. The parents of Gyaltsen Norbu were Communist Party members. The usual traditional joy expressed by the Tibetan crowds when one of its high incarnates (and specially the Dalai Lama or the Panchen Lama) has come back to this world, was absent. This time curfew was imposed in Shigatse, Lhasa and Chamdo, the three largest cities in Tibet and the boy had to be isolated under protection in one of the estates of the previous Panchen Lama. The high lamas, officials and monks of the Tashi Lhunpo were informed only on the eve of the event and threatened with dire consequences if they feigned ill heath for not attending the enthronement. More than 500 soldiers and members of the Public Security Bureau guarded the entrance of the monastery and screened the selected ‘invitees’. The Chinese leadership nevertheless decided to ignore the candidate recognized by the Dalai Lama and go ahead with its own ‘incarnation’. At that time already a question was in the mind of all Tibetans: was the Panchen Lama’s ‘recognition’ and enthronement a rehearsal for the future ‘recognition’ of the Dalai Lama. The Chinese are known to create precedents to be able to quote them later as historical tradition. Today, the Dalai Lama finds outrageous and disgraceful the Order No. Five issued by the rulers in Beijing for controlling the reincarnations of ‘Living Buddhas’. In the meantime, Gedhun Choekyi Nyima, the true reincarnation of the Panchen Lama remains a prisoner in China. This is tragic. This document confirms that Tibet was an independent nation in 1949. Interestingly, many historians questioned why did Lhasa not request Nepal for military help in October 1950 when the PLA's Second Army entered Chamdo, in Eastern Tibet. An extraordinary coincidence occurred, on October 7, 19050, the day the Chinese forces crossed the Yangtze to advance towards Chamdo, there was a coup in Nepal. Instead of trying to look in the history books, one should perhaps be looking at the stars. What was going on this 7th day of October of the Fateful Year? Peng Dehuai was taking over the Chinese Army on the Korean front and leading the Chinese Dragon in one of the most devastating war. Thousand of miles eastwards, Deng Xiaoping was invading a small peaceful country living in its Buddhist paradise and down South a revolution was brewing in another Himalayan kingdom of Nepal. King Tribhuvan and his family had to ask asylum in the Indian Embassy in Kathmandu. In Nehru words: “There has been a great deal of friction for sometime past between the King and the Prime Minister”. Nepal had been administrated for the past two hundred years by the Rana family who were known as Maharaja and holding the post of Prime Minister of Nepal. The Kings who belonged to another family were just a figurehead. But lately, King Tribhuvan had been trying to introduce popular reforms which had been resisted by the more traditional Maharaja Mohan Shamsher, a Rana. A week before the ominous day, the tensions had grown worse between the King and his Prime Minister. The King had asked the Indian Embassy in Kathmandu if he and his family could be given protection as he was fearing for his life. The Rana Prime Minister was resenting more and more the reforms as a personal attack against his rule and as an interference of the democratic India at his door steps. Nehru continued: “Efforts were made by the Prime Minister to get the King to abdicate, but the later refused to do so”. At this point of time, CPN Singh, the Indian ambassador to Nepal convinced the Indian Prime Minister that the King should be given shelter and protection. Nehru agreed. The Prime Minister’s son went to the embassy to try to pressurise the King to abdicate, but Tribhuvan sure of the Ambassador support reiterated that he was no question for him to abdicate. On the same October 7, the Rana Prime Minister decided to crowned one of the King’s grand son (through Tribhuvan had not abdicated) and make him the next king of Nepal. In the midst of the Himalayan high drama, Delhi decided to act firm and refused to accept the new King and stand behind King Tribhuvan. Was the coup in Kathmandu linked with the attack on Chamdo or the crossing of the 38th paralell? It is difficult to say, but though there are apparently no links, it is sure that infiltration of the Communist forces had begun in Himalayas. Retrospectively, one understand that it was difficult for Nepal to intervene in Tibet, so legally the Himalayan Kingdom was bound to do so. On September 23, 2011, Palestinian President Mahmoud Abbas formally submitted Palestine’s application for United Nations membership to Secretary General Ban Ki Moon. At a minimum, Palestine appears set for recognition by the General Assembly as a nonmember state, on par with sovereign Vatican City, which will be an important step forward for Palestine from its current observer status. This drama, which is playing out at the UN headquarters in New York, highlights the UN’s role as a main source of legitimacy in interstate relations and international affairs. It also leads us to recall Nepal’s application for membership to that body 62 years ago, which prominently cited Nepal’s “diplomatic relations” with Tibet as proof of its sovereignty. At the time, Nepal explicitly recognized Tibet as an independent country, including in its official application to the United Nations. This fact, which we explore below, recalls the strong historical ties between the peoples of Nepal and Tibet. Although Nepal currently has a “one-China” policy that recognizes Tibet as part of the People’s Republic of China (PRC), it is worth remembering that this is only recent history. The domineering presence of the PRC in Nepalese affairs is a relatively recent disruption that cannot erase from historical memory the enduring Nepali and Tibetan relations across the Himalayas. When Nepal applied to join the United Nations, it was required to submit proof that it was a sovereign state with the capacity to enter into relations with other states. Tibet Justice Center has made available a copy of Nepal’s application package of July 22, 1949. 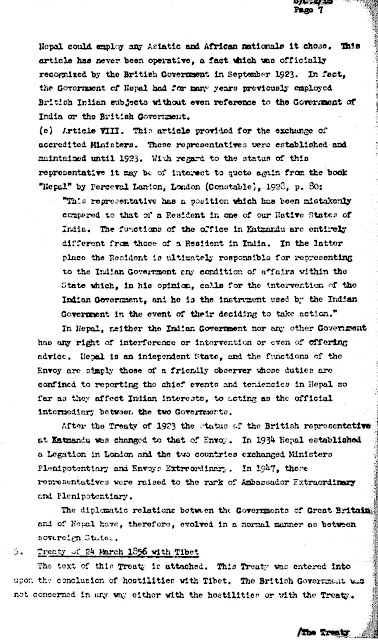 (You can download the copy at http://sites.google.com/site/legalmaterialsontibet/home/nepal-un-app)This application clearly shows that Nepal considered Tibet a sovereign state. (a) Tibet. In 1856 Nepal established a Legation at Lhasa, maintained representatives at Gyangtse, Kuti and Kerung. Nepal apparently considered its relations with the “country” of Tibet to be second in significance only to its relations with Britain, and even more significant than its relations with the USA or India. Based on the sufficiency of this application, the United Nations admitted Nepal as a member state on January 14, 1955. This provision was an attempt by China to cover its legal bases by getting Nepal to annul its prior treaty commitments with Tibet, including the defense obligation of the 1856 Nepal-Tibet treaty. As a practical and political matter, this cover-up worked. Subsequent Nepalese governments have restated their position that Tibet is part of the PRC. As a legal matter, however, the 1956 treaty is shaky. Its purported abrogation begs the question because Nepal’s Tibetan treaty obligations were with the “country” of Tibet. There were no treaties between Nepal and the “Tibet Region of China” to be abrogated, because Nepal did not recognize such an entity to have existed until 1956. This legal argument will not have much practical effect now, but it might be revived at an opportune time in the future. Obviously, Tibetans will care about the historical fact that Nepal explicitly recognized Tibet as independent as recently as 1949, and indeed relied on its relations with Tibet to gain admission to the UN. But this fact is also a part of Nepal’s national history. Nepal’s relationship with Tibet deeply affects the social, political, cultural, and religious history of the Nepalese people themselves. It is a question of national dignity for both Nepalis and Tibetans. For the Chinese government to try to change or cover over this history is an affront to the Nepalese people, and an act of historical imperialism. Because the justification for China’s occupation of Tibet depends on a historical fiction, China has sought to get others to play along with its revisionism. Yet despite China’s current success in bullying the Nepalese people into sometimes abrogating their own sovereignty and national history over the issue of Tibet, nothing can erase the documented fact that Nepal once recognized Tibet as an independent state at the United Nations in front of the global stage. The Nepalese people should not be bullied into denying their own national history. Nepal has demonstrated some willingness to reject China’s interference in its affairs. On September 22, 2011 (the day before the Palestinian U.N. application), the Government of Nepal released a group of 23 mostly-teenaged Tibetan refugees into the care of the United Nations High Commission for Refugees. What made this act particularly notable was it was done despite the tremendous pressure China exerted on tiny Nepal. 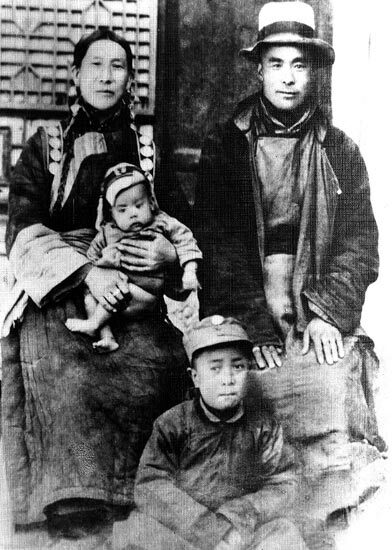 China wanted Nepal to return these refugees to Chinese-occupied Tibet, contrary to Nepal’s “Gentleman’s Agreement” concerning Tibetan refugees and the fundamental international law forbidding such refoulement. Much has been written about how the Palestinian quest for statehood is in part a reaction to the indignities of life under occupation. In another more subtle sense, the Chinese attempt to dictate Nepal’s refugee policy was a matter of national dignity for Nepal. This was a Chinese intrusion into Nepal’s sovereignty, which Nepal repulsed. If we were Nepalese -- even if we cared nothing about the 23 Tibetans -- we would be happy that our government stood up for the dignity of its people and refused to be dictated to by Beijing. Tibetans will continue to cross over the mountains in search of freedom from occupied Tibet. The next time another group of Tibetan refugees lands in Nepalese custody, we hope that Nepalese leaders will recall without fear or embarrassment that Nepal enjoys UN membership today based on a document in which it prominently highlighted its relations with the then-independent country of Tibet. Moreover, just as the Palestinian people are set to have their statehood finally recognized by the U.N., given the irrepressible desire of all peoples to be free, one day the Tibetan people may reach the same place. My article on dams in the Northeast A tragedy to come — Development Must Respect Nature has been published in The Statesman. Click here to read. No Diversion of the Yarlung-Tsangpo! "Considering the technical difficulties, the actual need of diversion and the possible impact on the environment and state-to-state relations, the Chinese government has no plan to conduct any diversification project in this river," thus spoke the Chinese Vice-Minister for the Water Resources. Good, it is a reiteration of the declarations of his predecessor in November 2006. Though it is a step forward, it does not solve the issue of large power projects (to produce electricity) on the Yarlung-Tsangpo/Brahmaputra. NEW DELHI: In a rare admission which will be welcomed in India, China has stated that it will not divert the Brahmaputra river. Jiao Yong, vice minister at China's ministry of water resources, told a press conference in Beijing on Wednesday that although there is a demand among Chinese to make greater use of the Yarlung Tsangpo (Tibetan name for the Brahmaputra), "considering the technical difficulties, the actual need of diversion and the possible impact on the environment and state-to-state relations, the Chinese government has no plan to conduct any diversification project in this river". The official clarification will be a relief to the Indian government, which has repeatedly harangued the Chinese side on the proposed diversification project. Returning from the UN General Assembly on September 27, Prime Minister Manmohan Singh told journalists, "I have myself raised this issue with both the President as well as the Prime Minister of China on a number of occasions. They have assured us that they are not doing anything which will be detrimental to the interests of India." The idea was first raised in a provocatively titled book, 'Tibet's water will save China', by two retired PLA commanders, Gao Kai and Li Ling. However, the diversification project is distinct from the dams that China has started to build on the Brahmaputra. While there is some consternation on that in India, China has clarified that these are run-of-the-river projects. India is not protesting too much here because these are the kind of dam projects India is building on the Indus rivers that India shares with Pakistan. 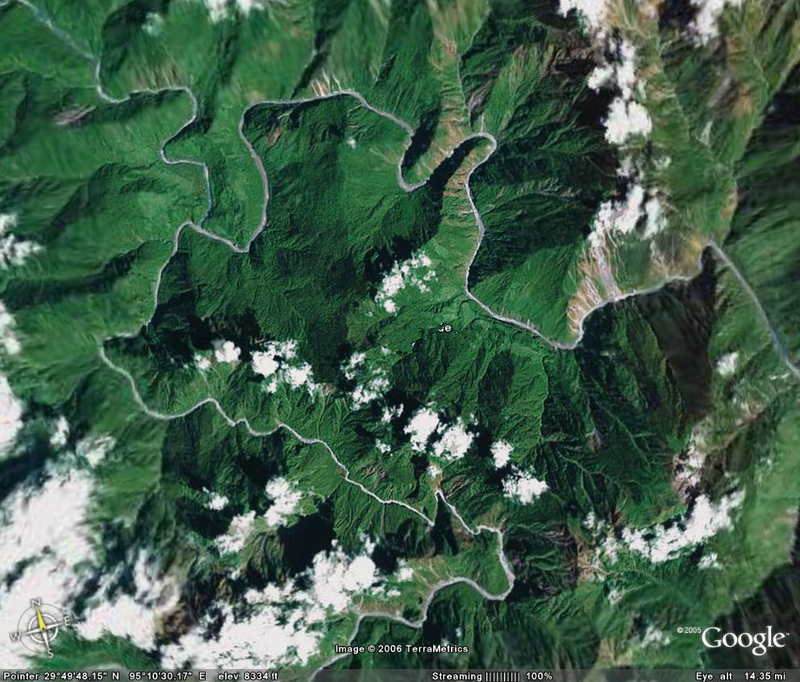 China is believed be building six dams -- Lengda, Zhongda, Langzhen, Jiexu, Jiacha and Zangmu. In November 2006, on the eve of Chinese President Hu Jintao's visit to India, Chinese water resources Wang Shucheng was quoted as saying that the diversion proposal was "unnecessary, unfeasible and unscientific. There is no need for such dramatic and unscientific projects." But that did not assuage Indian concerns. China expert Claude Arpi says, "If a river water treaty could be signed between India and Pakistan in the early sixties, why can't a similar agreement be made between China, India and Bangladesh?" Yesterday I mentioned the Dalai Lama Statement on reincarnation. I found an old article that I had written on the subject of the Panchen Lama's reincarnation in 1995 for Blitz magazine. It shows again that the Chinese are planning their moves well in advance, though their justifications are as lame today as they were yesterday. How can an atheist Government be knowledgeable about something that they don't believe in? Is it not a highly spiritual matter? In the meantime, the young reincarnation of the Panchen Lama remains a prisoner in China. Does history always repeating itself? One can only hope that it will not in the case of the Panchen Lama. When at the end of 1950, the People’s Liberation Army (PLA) troops walked into the Eastern Tibetan province of Kham, a weak and divided Lhasa Government could not put up any resistance to the communist troops: it was the beginning of the “peaceful liberation” of Tibet. A couple of months later, the Dalai Lama, his government and other officials from the big monasteries, had to flee Lhasa to take refuge at Yatung in the Chumbi Valley where the British had their trade mission, near the Indian border. Soon the Communist Chinese became keen to officialise their occupation of Tibet by signing an agreement with Lhasa recognising that Tibet had been “peacefully liberated” by the PLA. The only existing agreement on Tibet at that time was the Simla Agreement signed with Sir Henri McMahon after month­long negotiations in Simla between British, Chinese and Tibetan delegates. In order to erase this agreement at the earliest and to record as a fait-accompli the invasion of Tibet, in April 1951 Mao Zetong summoned Tibetan plenipotentiaries to Beijing to hold negotiations and sign a new agreement with the Chinese Communist government. Two members of the delegation left Yatung the headquarters of the Dalai Lama and after a short stop over in New Delhi to seek the support of Nehru (which they did not get) proceeded to Beijing where they met the other members who had been brought from the occupied province of Kham. The leader of the delegation, Ngabo Jigme was at that time of the invasion the Governor of Kham and he had been a virtual prisoner of the Communist since October 1950. The negotiations were scheduled to begin immediately but the Chinese refused to start unless the delegation recognised the new Panchen Lama born in Sining, China and chosen by them. Since 1942, the Tibetans had refused to accept the Chinese candidate as he was only one of the possible choices and he had not gone through any of the usual formal rituals and procedures to recognise an incarnate lama. A few times, the Nationalist government unilaterally announced that their candidate was the official one and he was even once enthroned by the Chinese at the Kumbum monastery in the Eastern Province of Amdo, but the Chinese Communists (like the Nationalists earlier) knew that without the stamp of Lhasa it would be very difficult to get their choice accepted by the masses, thus their insistence on having their candidate accepted by Lhasa. For more than a month, Ngabo Jigme refused to cede to the Chinese pressure. But at the end, he was forced to put his seal as he felt that it was the only way to come to the negotiating table. However thereafter there were no further negotiations: a 17-point “Agreement for the Peaceful Liberation of Tibet” was signed under duress a few days later even though the Tibetan delegates who had objected to many points (in particular to the one referring to the role of the Dalai Lama and the Panchen Lama and putting them on the same level) were given no choice, but to paragraph the text. The Dalai Lama and his Government in Yatung were informed much later by telegram of the agreement, when it was already too late. This was the result of an extremely weak Tibetan government dominated by the conservative power of the large monasteries who never had wanted to have contacts with the outside world, the lack of concern shown by great powers like the USA and India (Nehru always believed that China and India should be friends whatever will be the cost) and of a 15-year old Dalai Lama who was far too inexperienced to fight political masters like Mao or Zhou En-lai. On December 8 1995, history seems to repeat itself once more: a Chinese candidate was imposed by the Communist Party on the Tibetan People and “officially” enthroned in the Tashi Lhunpo monastery in Shigatse, the second largest Tibetan town. The ceremony had been kept secret by the Chinese until the last moment as they feared the backlash of an angry Tibetan population at this unilateral imposition of their candidate. The candidate, Gyaltsen Norbu had been chosen after a mock “Golden Urn” ceremony had been organised in the Jokhang Cathedral in Lhasa on 29th November by the dignitaries of the Communist Party. The parents of Gyaltsen Norbu are themselves said to be Communist Party members in Lhari. The usual traditional joy expressed by the Tibetan crowds when one of its high incarnate lamas (and specially the Dalai Lama or the Panchen Lama) has come back to our world to continue to fulfil his Bodhisattva vows to return again and again in order to help all sentient beings to be one day liberated from this world of suffering, was absent. This time curfew was imposed in Shigatse, Lhasa and Chamdo, the three largest cities in Tibet and the boy had to be isolated under protection in one of the estate of the previous Panchen Lama in Shigatse after his arrival from Lhasa on 30th November. The high lamas, officials and monks of the Tashi Lhunpo were informed only on the eve of the event and threatened with dire consequences if they feign ill heath for not attending the enthronement. The head of Religious Affairs in Beijing, Zhao Puchu had specially come from Beijing to supervise the ceremony and represent the Central government. More than 500 soldiers and members of the Public Security Bureau guarded the entrance of the monastery and screened the selected “invitees”. The big difference with 1951 is that now the story has come to all the news agencies of the world and the wave of sympathy for the Tibetan Buddhist is widespread. Also this time the Tibetan people are united like never before around their leader: the Dalai Lama and firmly decided not to accept the “divide and rule” policy of Beijing. The fate of the Panchen Lama flashed for the first time in the news in May when on the occasion of the day of Buddha Poornima, the Dalai Lama formally announced that Gedhun Choeki Nyima, a six-year old boy from Lhari district in Tibet was the XIth Panchen Lama. This was the culmination of a long process started soon after the death of the Xth Panchen Lama in his Tashi Lhunpo monastery in 1989. The Dalai Lama who had been performing different religious and spiritual practices for the past four years in order to recognise without fail the genuine reincarnation of the Panchen Lama, had been in touch with the Chinese-appointed head of the Search Committee, Chatrel Rinpoche who had twice consulted the Lhamoi Lhatso, the Lake of Vision in which signs are always seen to indicate the path to follow to discover the soul of a departed lama. For two years, the divination had indicated that the boy was already born in Tibet, but the time had not yet come to disclose more details. Each time this divination was confirmed by the Nechung, the State Oracle of Tibet and the Tsangpa Oracle who is specifically dealing with the Tashi Lhunpo monastery affairs. In 1994, the Nechung had confirmed that “if the Tibetans are united the incarnation will soon be found in Tibet.” It is only in early 1995, that the Dalai Lama through another divination found out that Gedhun was a “very good” candidate. 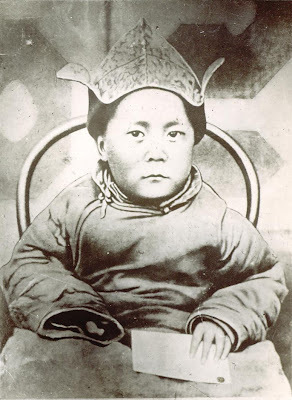 It was confirmed during the following months and on May 13th, a last divination confirmed that his boy was the reincarnation of the Panchen Lama and that it was now time to announce it to the world. This was done the next day. The Chinese reaction was not long in coming. Infuriated that they had been out played by the Dalai Lama who had announced the name of the boy before them and also by the fact that the Search Committee chosen by them had passed information to Dharamsala without their knowledge, they immediately arrested Chatrel Rinpoche who is since missing and the newly recognised Panchen Lama was brought to Lhasa were he is still under house arrest. One interesting point to note here is that even after years of indoctrination, communist education and re-education, even though Chatrel Rinpoche had been specially chosen for his pro-Chinese sentiments, still at the end of the process he chose to refer the matter for the final choice to the Dalai Lama. It is symptomatic of the immense faith the people of Tibet from the most humble nomad to the greatest abbot keep in their tradition. It certainly reminded the world of the role played by the previous Panchen Lama who was born in China, chosen by the Party, educated by the Communists, “re-educated” in prison for more than 15 years and generally considered for years by Tibetans and Western Tibet watchers as a traitor, but who denounced the forty years of Chinese rule in Tibet in 1989 only four days before his mysterious death and thus becoming a hero for the Tibetans. The worse thing for the Chinese psyche is to publicly loose face, and after the Dalai Lama’s announcement they had definitively lost face (at least in their own eyes). This explains why the matter was taken up at the highest level of the State and Jiang Zemin and Li Peng personally took charge of the case. It was decided that no time should be lost to announce their own candidate. The name of Gedhun Choekyi Choekyi Nyima was immediately deleted from the list of possible candidates while only a few weeks earlier he was for the Chinese one of the very strong contenders for becoming the Eleventh Panchen Lama. For months the Beijing government did its utmost to rope in senior Tibetan lamas and monks to participate in the selection and denounce the Dalai Lama’s choice. Finally, on November 8, Jiang Zemin, the Chinese President received some 75 monks in Beijing. Most of these monks, said to have been hand-picked from Beijing itself, met in a conclave to nominate out of a list of twenty seven names the three candidates whose names would be put in the Golden Urn. A French journalist reported from Beijing that “at this occasion, the television and the press have given a prominent place to the very unusual “family photo” of Jiang and four other members of the politburo (including the Army Chief Liu Huaquing in uniform) posing with the lamas.” The journalist added: “One could read on the faces of the religious men more reserve than enthusiasm and they did not appear to be as in a hurry as the officials”. The fact that a totalitarian communist regime could start dealing with the search of incarnated souls put a smile on the lips of many, except the Tibetans who were more and more concern about the fate of Gedhun Choekyi Nyima. The question could be asked as to why the Chinese leadership chose to have a confrontation with the Dalai Lama and the people of Tibet at this point of time. A few years back, the Chinese government had for the first time decided to recognise Tulkus (reincarnated lamas), when the head of the Kargyui-pa sect of Buddhism, the 17th Karma-pa was officially recognised by the Communist government. What is worth noting is that the Karma-pa had been discovered by one of his disciples, Situ Rinpoche while conducting the search in Tibet and was subsequently approved by the Dalai Lama after the appropriate tests had been performed. It is only later that the Chinese government “officially appointed” the boy as the 17th Karma-pa and enthroned him in Tsurphu, north of the Lhasa the traditional seat of the Karma-pas. The process could have been the same for the choice of the Panchen Lama as in any case the boy, being born in Tibet, was going to remain “in the hands” of the Chinese government. In the case of the Karma-pa, though he was recognised by the Dalai Lama, the Chinese has completely taken over his education and he is already been used for political purposes. On May 1st, he was paraded with Jiang on the rostrum of Tiananmen Square on the occasion of the celebration of the Workers Day. More recently he was offered the latest luxurious Toyota by the Party Central Committee. The story of the Panchen Lama could have been similar, but for other reasons the Chinese leadership decided “not to loose face” and show that they were in full control of the situation. The draw from the Golden Urn was an easy and the only way out for the Chinese as it did not require any special religious qualifications to go through. Prof. Samdong Rinpoche, the Chairman of the Tibetan Assembly-in-exile immediately issued a clarification on this procedure which was very rarely used in Tibet. Since many weeks, meetings have been organised in the great monasteries of Tibet to inform the monks that there would be serious consequences if any Tibetan accept the choice of the Dalai Lama. Another report from Tibet says that the monks from two of the largest monasteries of Sera and Drepung were recently invited for a great prayer ceremony. But soon the monks saw a monk known for his Chinese sentiments distributing offerings followed by a battery of video cameras; they suspected some foul play and that the participation to the ceremony would later be shown as a celebration of the Panchen Lama’s recognition and their acceptance of the Chinese choice, they all walked out of the puja. In October, the Dalai Lama appealed personally to Jiang Zemin: “I am deeply concerned that the whereabouts of Gedhun Choekyi Nyima whom I have recognised as the incarnation of the late Panchen Lama are not known publicly since some time”. I appeal to you for your government’s recognition to the young Panchen Lama”. The Dalai Lama in his letter further regretted that the proclamation “has further strained our relationship” and he recalled all the efforts he had made in the past years to communicate with and seek assistance of the Chinese government in the search of the reincarnation. “Unfortunately, there has been no response at all from the concerned officials of your government. On the contrary, to my great disappointment the concerned official of your government repeatedly made categorical statements that no involvement on my part will be tolerated... The recognition of the Panchen Lama’s reincarnation is in no way intended to challenge your Excellency’s government”. The Dalai Lama concluded by another appeal to the Chinese President to seat on a negotiations table “I hold in firm belief that it is possible for us to find a mutually acceptable and beneficial solution on the Tibetan question. With this conviction, I have consistently endeavoured to enter in negotiations with your government any time, any where, keeping in mind the long-term and larger interests of both the Tibetan and the Chinese people”. The response to the letter was that the Chinese government decided to go ahead with the confrontation approach even at the probable risks of law and order problems, riots, etc… in Tibet. If one observes the situation in China during the last few weeks and tries to read into it, one can see an hardening of the position of the Chinese leadership in three directions: vis-à-vis Tibet, Taiwan and the internal dissidence. The main reason for this is that Deng Xiao Ping will soon pass away and the struggle for his succession has accentuated over the last months. Jiang Zemin, for the time being the favourite in the succession line has been recently travelling abroad and through his meetings with President Clinton and other heads of state in particular on the occasion of 50th Anniversary of the UN has established himself as a leader with an international stature. But this does not seem to be enough to make of him the new emperor: he has to assure his basis in China itself and for this he has to remove the three thorns from the Communist government foot. Wei Jingsheng, the most prominent dissident was officially arrested on 21st November on the very serious charges of “engaging in activities to overthrow the government”. 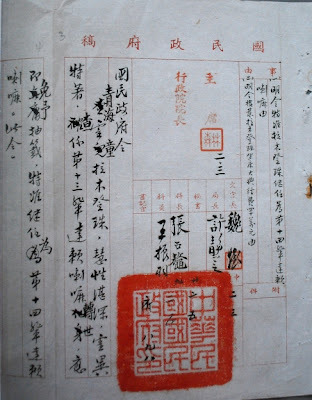 Despite of the protests of many Western countries, scholars and human rights activists, the government declared that Wei was arrested in accordance with the country’s judicial procedure and that “on the contrary, some foreign organisations violated international standard by trying to interfere with the internal affairs of China.” The second case of hardening in the Chinese stand was shown when at the end of November the Xinhua News Agency announced army exercises including amphibious landing. This was obviously targeted at Taiwan which was on the eve of the legislative polls. The Beijing’s’ TV showed clips proving that the exercises were meant to show that the armed forces were capable of defending the State sovereignty and integrity and safeguarding the unity of the motherland”. Clearly the Chinese government was trying to intimidate the voters to vote against the Kuomintang and the Democratic Progressive Party and give their favours to the pro reunification New Party. Another compulsion that the future emperor has, is to deal with is the army. The strong feeling amongst the generals of the People’s Liberation Army was shown in a recent interview given by Lt. Gen. Xiong Guangkai an Assistant Chief of Staff to the New York Times. It has been a fact since 1949 that no leader can rule in Beijing without the strong support of the PLA. The Panchen Lama episode should be seen in the same line. The future leader of China has to show that he has full control over the minorities and specially over the most restive ones: the Tibetans. Another question in the mind of all the Tibetans and their well-wishers is: is the Panchen Lama’s “recognition” and enthronement a rehearsal for a more important recognition: the Dalai Lama’s. The Chinese always like to create precedents to be able to quote them later as historical tradition. A few weeks back the Beijing Review consecrated four pages in an article to show (with totally distorted historical facts) that the XIVth Dalai Lama had been himself recognised and enthroned by them. The news that a Chinese spy ring was recently broken in Dharamsala added to the anguish that one day the Tibetans will have to face a succession crisis for their revered leader. The only hope for the Tibetans now is that they remain united and that democracies like India, the European Community or the USA will take a strong position in favour of the young Panchen Lama. Already two hundred members of the French Parliament issued an official protest against the Chinese actions and expressed their support for Gedun whom they agreed to sponsor as the youngest prisoner of conscience. Could not the new Panchen Lama be offered asylum Fang Lizhi and many other dissidents who had to take refuge in the free world after the 1989 pro-democracy movement in China? During my 'French leave', an important statement was issued by the Dalai Lama on the subject of reincarnation (and particular about his own). It should set aside the pretensions of the Communist Party of China to be able to decide about the wanderings of a Lama after his death and the location of his return. The Dalai Lama used the occasion of the 11th high-level conference (the first one was held in 1963) of senior Lamas held in Dharamsala at the end of September. The Dalai Lama presided over the meeting on the second day of the conference in which the heads and representatives of the four major schools and sub-schools of Tibetan Buddhism as well as of the Bon tradition took part. The Dalai Lama's statement was endorsed by all the senior most Tibetans religious leaders of Tibet. Interestingly, he gave himself some 15 more years to 'decide': "When I am about ninety I will consult the high Lamas of the Tibetan Buddhist traditions, the Tibetan public, and other concerned people who follow Tibetan Buddhism, and re-evaluate whether the institution of the Dalai Lama should continue or not. On that basis we will take a decision. If it is decided that the reincarnation of the Dalai Lama should continue and there is a need for the Fifteenth Dalai Lama to be recognized, responsibility for doing so will primarily rest on the concerned officers of the Dalai Lama’s Gaden Phodrang Trust." It will be interesting to see how the Chinese will react. They will probably say the Dalai Lama knows nothing about reincarnation, only they know! In the recent past, there have been cases of irresponsible managers of wealthy Lama-estates who indulged in improper methods to recognize reincarnations, which have undermined the Dharma, the monastic community and our society. Moreover, since the Manchu era Chinese political authorities repeatedly engaged in various deceitful means using Buddhism, Buddhist masters and Tulkus as tools to fulfil their political ends as they involved themselves in Tibetan and Mongolian affairs. Today, the authoritarian rulers of the People’s Republic of China, who as communists reject religion, but still involve themselves in religious affairs, have imposed a so-called re-education campaign and declared the so-called Order No. Five, concerning the control and recognition of reincarnations, which came into force on 1st September 2007. This is outrageous and disgraceful. The enforcement of various inappropriate methods for recognizing reincarnations to eradicate our unique Tibetan cultural traditions is doing damage that will be ifficult to repair.